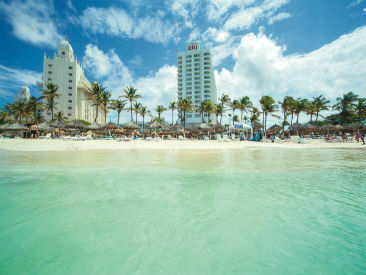 As an added bonus, Riu Palace Antillas has exchange privileges with their property next door, Riu Palace Aruba. Stay at one, play at two! Plus, try the delectable meals cooked by the most qualified chefs, set to give guests the relaxing vacation experience they deserve. 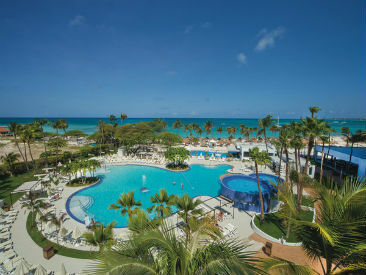 Whether it's trying your luck in the casino, experiencing new cuisine at one of the three theme restaurants, or getting your groove on at the discotheque, there is something for everyone to enjoy when vacationing at Riu Palace Antillas in beautiful Aruba! The spa promotions for Riu Bambu clients are redeemable at Renova Spa Riu Palace Bavaro. Clients need to identify themselves by presenting their travel documents at the Spa to prove that they own this spa credit. The TO will inform their clients about this requirement and ensure that all of their partners clearly state the restrictions of this promotion on their media and vouchers. Terms and Conditions: Guests will receive coupons at check-in. 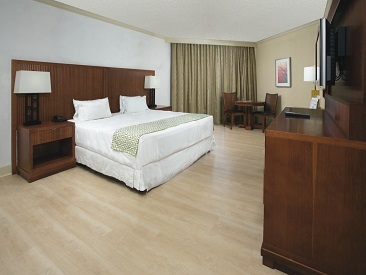 The total of credits is per room, for guests +21 and older. Resort Credit is nontransferable, non-cumulative, non-refundable, non-combinable and cannot be used for future stays. Resort credit can be used as a discount only for selected services. Credits cannot be exchanged for cash. This promotion is subject to availability and can change without previous notice. Some restrictions apply. *Inclusions subject to changes without previous notice.